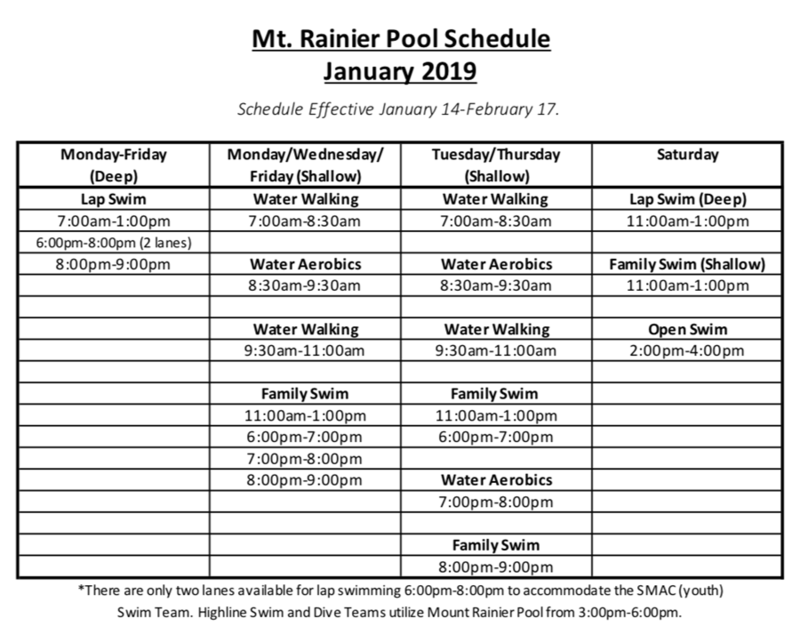 The Mount Rainier Pool is excited to announce its re-opening schedule for Monday, January 14. Below is a schedule from January 14 through February 16, 2019*. A schedule for February 16 and beyond will be produced in early February. Click Here for PDF of Schedule! Swim Lessons will begin the week of March 4. Swim Tests: The District requires that participants swim test before registering for classes. Below are the swim test dates and times. There are no appointments as tests will be done drop-in on a first-come, first-serve basis. Parent or Guardian must be present during test. Tuesday and Thursday, February 5, 7, 12 & 14: 11:00am-1:00pm and 6:00pm to 7:00pm during Family Swims. Saturday, February 9 & 16: 11:00am-1:00pm during Family Swim. Swim Lesson Registration: Swim lesson registration will begin on Tuesday, February 19 at 4:00pm.Click here to visit our Swim Lesson Page or if see section below to speak to our Swim Lesson Contact. Do you have more questions or would like to speak to someone in person? 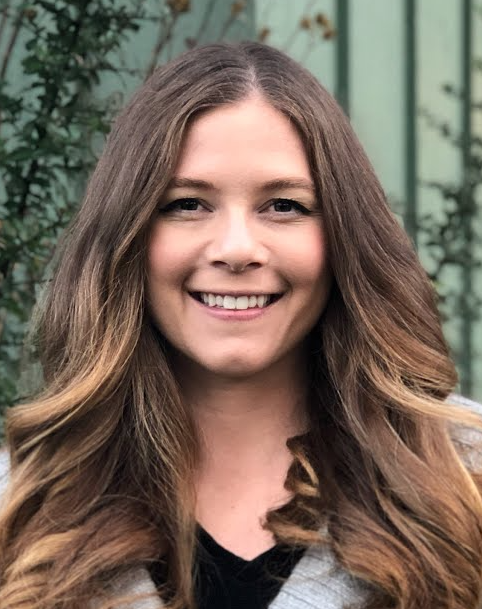 Our Aquatics Coordinator, Lauryne Bartlett, is here to help. You can call her directly at (206) 824-4722 or email her atlauryne.bartlett@desmoinespool.org. By following this email list, you will be the first to get information! The District is dedicated to improving its services throughout the year as we grow our staff. Watch for swim lessons, special events and other programming to be added in the coming months. If you know someone that may be interested, please use the forward button below to share the email.